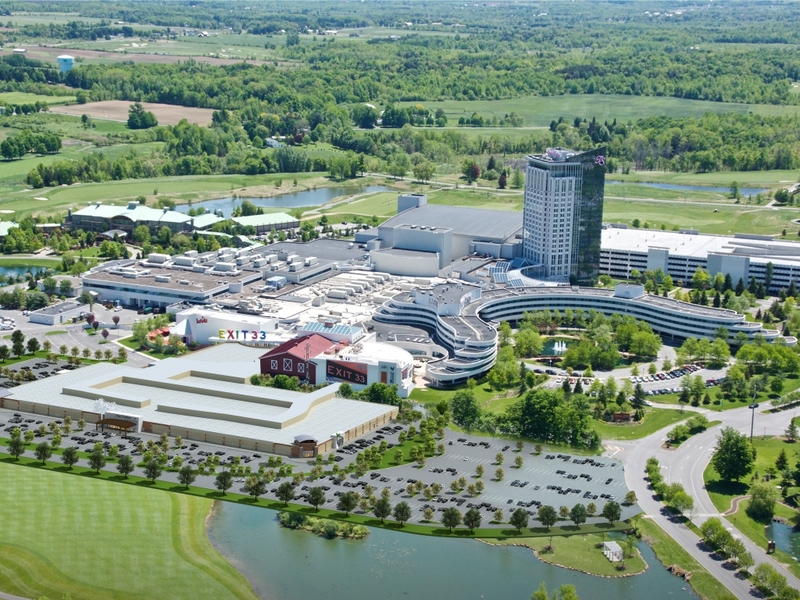 Turning Stone Resort Casino today announced plans for a large $100 million luxury retail outlet and entertainment venue. The shopping center will create 600 construction jobs and 500 full- and part-time jobs, officials said. Turning Stone casino officials said at a news conference the enclosed shopping center will feature only luxury stores, no “big box” outlets.They estimated there would be 60 stores. The 250,000-square-foot center will include a six-screen movie theater and a luxury bowling alley. Officials said the center could be expanded at a later date. For comparison, Destiny USA has 2.4 million square feet of space. They said they expect the shopping center on the south side of the current resortin Verona to open in fall 2016. They said workers will break ground in spring, 2015. 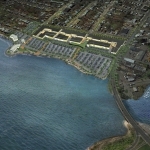 The center will be built in partnership with Sheldon Gordon and the Gordon Group Holdings. Sheldon Gordon has been developing shopping centers for 46 years. His projects have included The Forum Shops at Caesars in Las Vegas and The Pier Shops in Atlantic City. 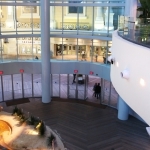 Other projects include Mohegan Sun Casino, Bridgemarket in New York City, San Francisco Center and The Beverly Center in Los Angeles. 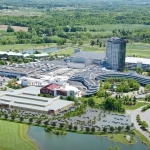 Gordon also completed a similar project at Foxwood casinos. The new shopping center will be 34 miles from the Destiny mall in Syracuse. Also at the news conference today were Oneida County Executive Anthony Picente and Central New York Labor Council President Pat Costello. Picente said at the news conference the project will help make the area a world-class destination. Exit 33 was the casino’s last major project. That $25 million multi-venue entertainment complex features a country music dance hall, rock and roll club, cocktail piano bar and sushi lounge. 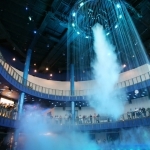 It opened in July 2013.